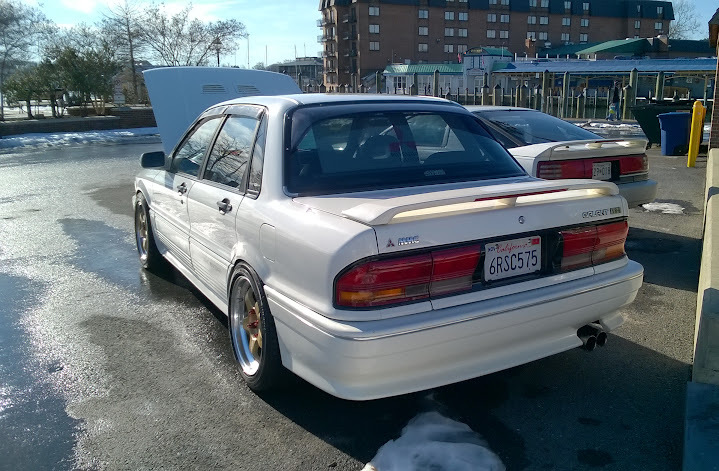 The Galant was getting cabin fever, so I took it out for some fresh air. 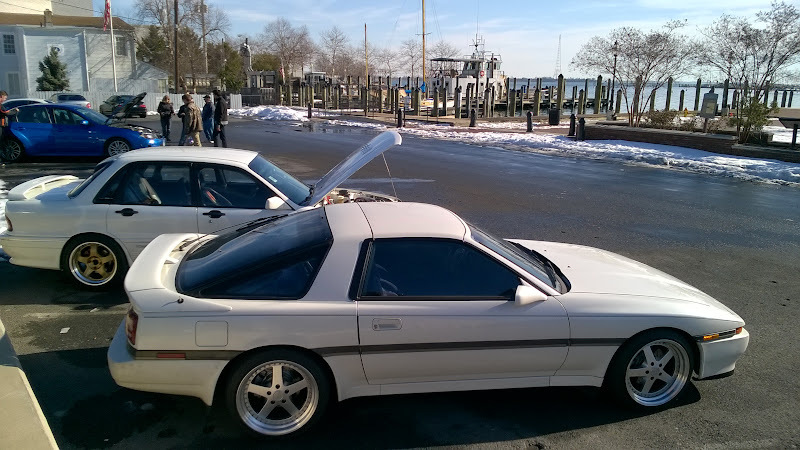 It was beautiful and 50 degrees here today; a perfect day to roll out to the local Annapolis Cars & Coffee. Not a huge showing, but it was nice to get behind the wheel of the car for a bit. 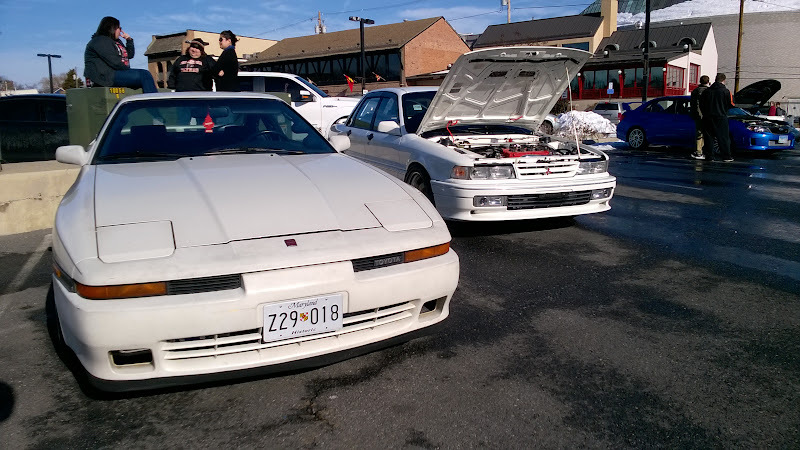 The wife and I got up this morning and took the Galants to Annapolis Cars & Coffee. I spend so much time wrenching on these turds, I tend to forget how nice it is to actually just take the cars out and enjoy them. 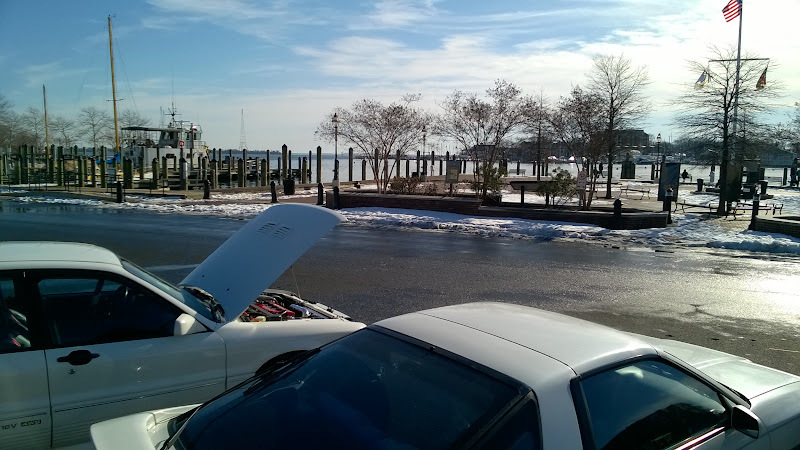 It was pretty nice in Annapolis today. A little on the warm side, but the breeze off the bay made walking around bearable. 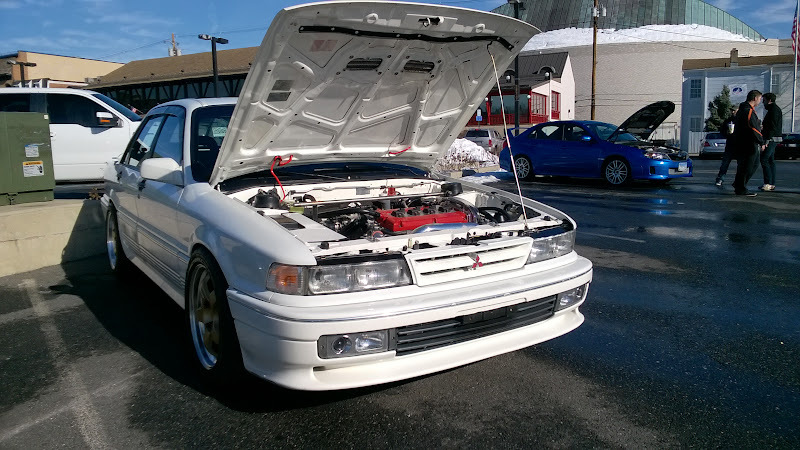 The guys who organize the Annapolis Cars & Coffee event are pretty much all exotic owners. As a result, the scene tends to consist of a lot of nicer high end cars, which are always nice to look at. The import turnout is typically pretty low, but a few did show. 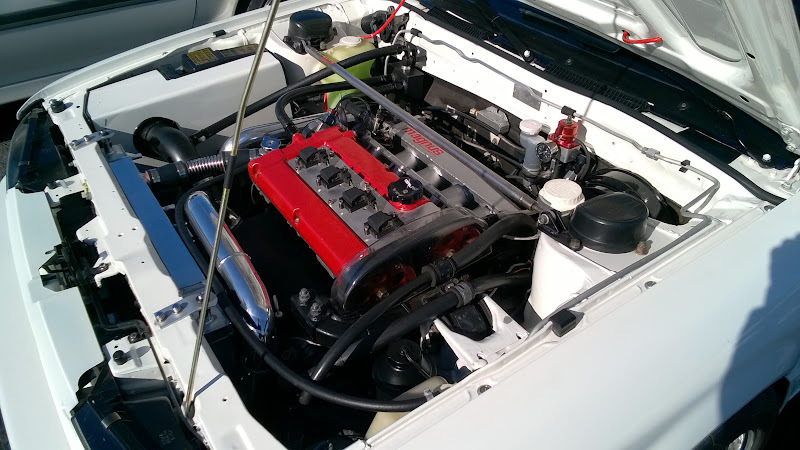 Notice anythig fimiliar about the GTR stock BOV? Your twins appear to be polite and well behaved. The weather was awesome today, so the wife and I decided to hit up Cars & Coffee in Annapolis again. Generated in 0.051 seconds in which 0.022 seconds were spent on a total of 14 queries. Turbo powered.